The club announced a new crest, that it said had been created following "six months of research" and consultation, across its digital channels around midday on Wednesday. The reaction was overwhelmingly negative. Rival club Aston Villa, the English language Twitter feed of a Russian club, and plenty of other social media users rubbished the new emblem, with some making comic suggestions about its inspiration and origins, and a local MP wrote to the club to express his displeasure. Just a few hours later the club told media that it accepted that it would have to go through further consultation before adopting the badge, a comment it has reiterated on its website this morning. Gavin Megaw, a director at Hanover and formerly comms director for the English Football League, said the whole affair had been badly handled. "Change programmes within football are notoriously difficult. Fans are a club's most important stakeholders, but are also voracious opponents to change. 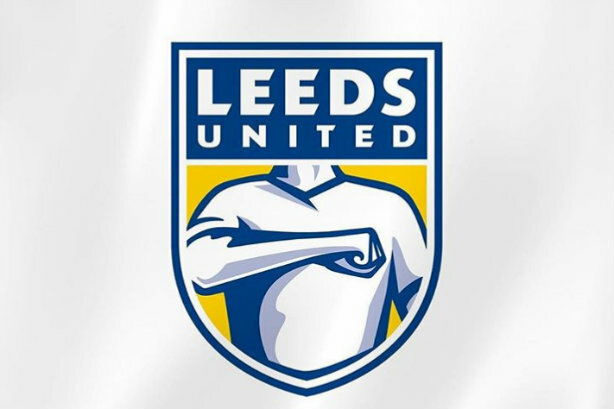 Leeds United knew this, and should have ensured they had a robust research and consultation process," he said, before adding: "They clearly didn't; their rapid turnaround demonstrated that they were not themselves convinced by their own arguments." David Alexander, former football writer and founder of agency Calacus, said the club deserved a modicum of praise. "That they have announced that they would review the redesign after widespread negative responses is to their credit," he said. Alexander, however, also cautioned against the dangers of consultation, saying: "We've seen with polls that resulted in Boaty McBoatface that these things are prone to abuse." "The conversation in our local coffee shop this morning was consistent: incredulity, embarrassment and down right anger with a club which has a long track record of being badly run. Despite this, Leeds United enjoys one of the largest attendances and most loyal followings of any club in the country," he said. Turning to his specialism, he said: "In the world of grocery branding, it is normal to refresh a brand identity and broadly speaking consumers accept it because they’re not truly passionate about a packet of biscuits or a tube of toothpaste. "Football is a completely different business, and the club should focus on winning and providing fans with a great experience. Meddling with the club crest is the last thing they should be concerned with." Paddy Hobbs, head of sport at PrettyGreen, also criticised the way the launch was handled, saying: "The execution of the announcement was dreadful and nearly as bad as the actual design. It lacked any sense of narrative or creativity for fans to engage with in a positive way. "You can’t just smash a picture up on Twitter, especially for a club with such a passionate fan base like Leeds, and expect supporters to have an emotional attachment to it – you need to take them on the journey with you." Adam Raincock, managing partner at Pitch Marketing Group, told PRWeek that Leeds' good intentions were poorly executed: "Football clubs need to reflect the modern world they exist in, but not at the expense of what they stand for and the heritage they have. Their role is to connect with and inspire their fans, but this feels like mum and dad trying to be cool while their kids cringe in the corner."